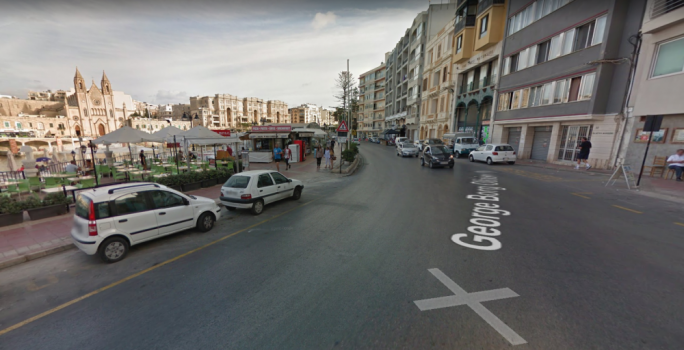 Eight people were hospitalised Friday morning after a car mounted a pavement in Triq Gorg Borg Olivier, St Julian’s, and hit people who had been walking by. 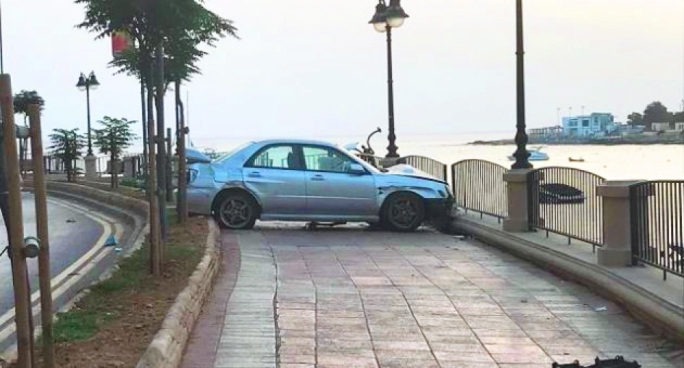 The police said the accident, which took place at around 4.50am, happened when a 20-year-old man from Birkirkara lost control of the Subaru Impreza he was driving and injured a number of pedestrians who had been walking on the St Julian's-Sliema promenade. Four Danish men aged between 19 and 25, two Croatian women aged 21 and 23 respectively and two 25-year-old Englishmen were taken to Mater Dei Hospital for medical care. The police later said that one of the Danish men was critically hurt and one of the Englishmen was suffering from serious injuries. The other three Danish men and the other Englishman were slightly hurt, while the two Croatian women escaped injury. Health Minister Chris Fearne has previously said on Twitter that one of the victims was in a "very critical condition", as he praised emergency staff's response for being "exemplary". Reports from people on the scene say that the driver's car also uprooted a couple of trees, and badly damaged a lamppost. The driver was arrested and taken to the St Julian's police station for questioning. The stretch of road from the City of London pub, to the water polo pitch, has reportedly been closed to traffic.